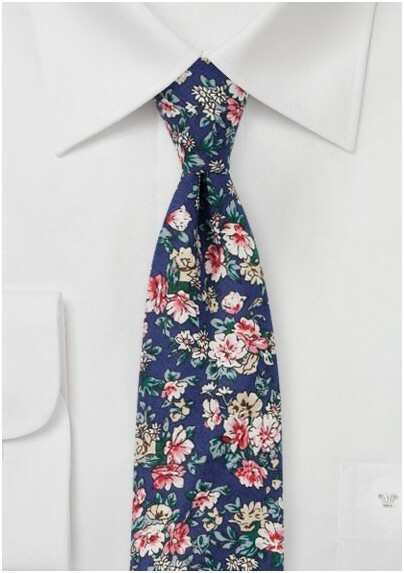 This blue cotton summer tie is imprinted with a delicate rose blossom pattern in pinks, white, and rose. A fantastic choice for summer festivities in combination with linen shirts in white, light blue, or gray. While we liked this tie paired with summer sports coats, it looks just as great when worn all by itself or perhaps a fitted linen vest. 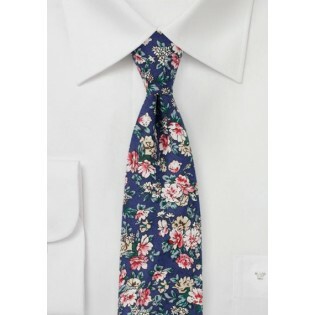 Made from printed cotton by neckwear brand Blackbird.